Are there relatively recent scientific developments or findings that should be getting more attention from philosophers (and not just philosophers of science)? What are some good examples of philosophers taking up relatively recent, but perhaps not widely known or appreciated, scientific developments or findings? 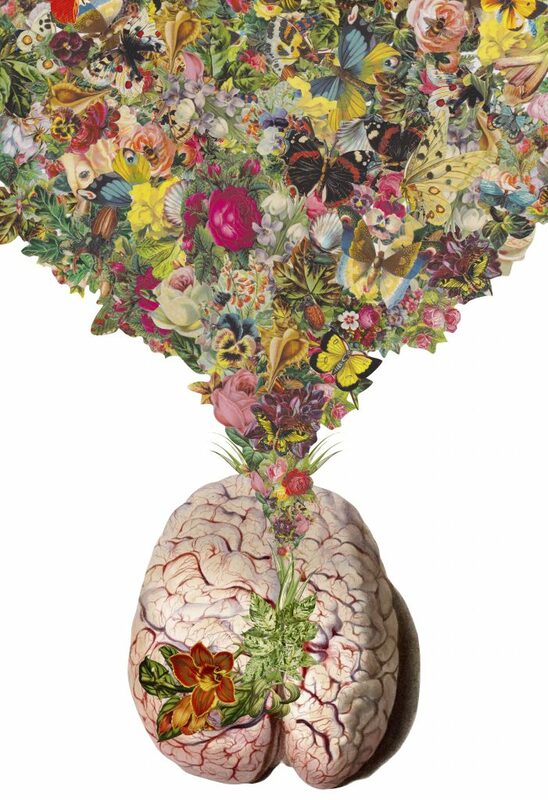 I was prompted to raise these questions by the interestingly provocative essay, “The Minds of Plants,” which Laura Ruggles (a PhD student at Adelaide) recently wrote for Aeon. In it, she presents the case for thinking that some plants are capable of learning and remembering. She doesn’t use these terms metaphorically. Some theorists worry that concepts such as ‘plant memory’ are nothing but obfuscating metaphors. When we try to apply cognitive theory to plants in a less vague way, they say, it seems that plants are doing something quite unlike animals. Plant mechanisms are complex and fascinating, they agree, but not cognitive. There’s a concern that we’re defining memory so broadly as to be meaningless, or that things such as habituation are not, in themselves, cognitive mechanisms. One way of probing the meaning of cognition is to consider whether a system trades in representations. Generally, representations are states that are about other things, and can stand in for those things. A set of coloured lines can form a picture representing a cat, as does the word ‘cat’ on this page. States of the brain are also generally taken to represent parts of our environment, and so to enable us to navigate the world around us. When things go awry with our representations, we might represent things that aren’t there at all, such as when we hallucinate. Less drastically, sometimes we get things slightly wrong, or misrepresent, parts of the world. I might mishear lyrics in amusing ways (sometimes called ‘mondegreens’), or startle violently thinking that a spider is crawling on my arm, when it’s only a fly. The capacity to get it wrong in this way, to misrepresent something, is a good indication that a system is using information-laden representations to navigate the world; that is, that it’s a cognitive system. When we create memories, arguably we retain of some of this represented information for later use ‘offline’. The philosopher Francisco Calvo Garzón at the University of Murcia in Spain has argued that, for a physical state or mechanism to be representational, it must ‘stand for things or events that are temporarily unavailable’. The capacity for representations to stand in for something that’s not there, he claims, is the reason that memory is taken to be the mark of cognition. Unless it can operate offline, a state or mechanism is not genuinely cognitive. On the other hand, some theorists allow that certain representations can only operate ‘online’—that is, they represent and track parts of the environment in real time. The mallow’s nocturnal capacity to predict where the Sun will rise, before it even appears, seems to involve ‘offline’ representations; other heliotropic plants, which track the Sun only while it is moving across the sky, arguably involve a kind of ‘online’ representation. Organisms that use only such online representation, theorists say, might still be cognitive. But offline processes and memory provide stronger evidence that organisms are not just responding reflexively to their immediate environment. This is particularly important for establishing claims about organisms that we are not intuitively inclined to think are cognitive—such as plants. Is there evidence that plants do represent and store information about their environment for later use? During the day, the mallow uses motor tissue at the base of its stalks to turn its leaves towards the Sun, a process that’s actively controlled by changes in water pressure inside the plant (called turgor). The magnitude and direction of the sunlight is encoded in light-sensitive tissue, spread over the mallow’s geometric arrangement of leaf veins, and stored overnight. The plant also tracks information about the cycle of day and night via its internal circadian clocks, which are sensitive to environmental cues that signal dawn and dusk. Overnight, using information from all these sources, the mallow can predict where and when the Sun will rise the next day. It might not have concepts such as ‘the Sun’ or ‘sunrise’, but it stores information about the light vector and day/night cycles that allows it to reorient its leaves before dawn so that their surfaces face the Sun as it climbs in the sky. This also allows it to re-learn a new location when plant physiologists mess with its ‘head’ by changing the direction of the light source. When the plants are shut in the dark, the anticipatory mechanism also works offline for a few days. Like other foraging strategies, this is about optimising available resources—in this case, sunlight. Does this mechanism count as a ‘representation’—standing in for parts of the world that are relevant to the plant’s behaviour? Yes, in my view. Just as neuroscientists try to uncover the mechanisms in nervous systems in order to understand the operation of memory in animals, plant research is beginning to unravel the memory substrates that allow plants to store and access information, and use that memory to guide behaviour. What scientific developments do you think are insufficiently appreciated or discussed by philosophers?